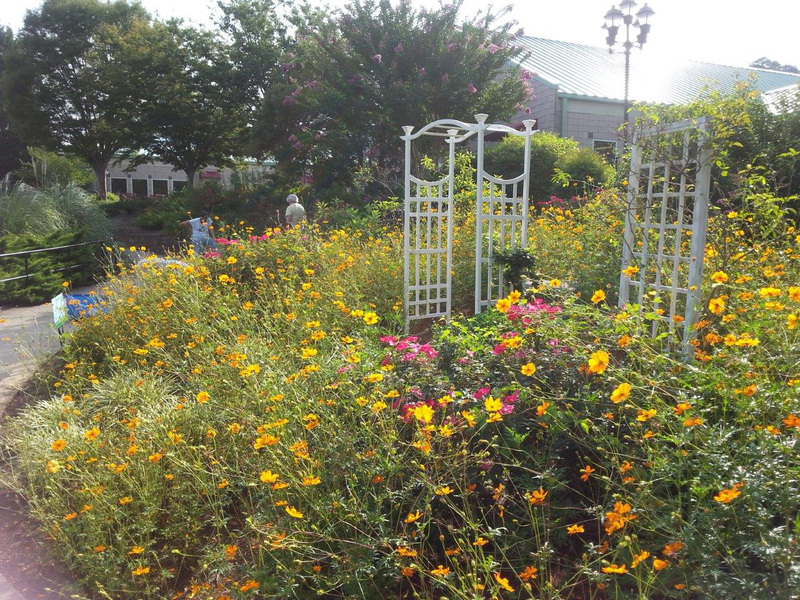 GCMGA members have maintained the landscape immediately around Bethesda Senior Center as well the Butterfly Garden at the rear of the building for many years and have updated the plantings each year. This year, leadership is under Tricia Moakler with many regulars coming each month. Suzanne Franklin sparked the addition of cosmos seed in the Butterfly Garden and this year they took over in glorious yellow. The cosmos were absolutely gorgeous in July!